Your day-by-day itinerary now includes The Grove as well as The Getty Center. On the 16th (Tue), appreciate the extensive heritage of Hollywood Walk of Fame, Head underground at Bronson Caves, and then look and learn at Griffith Observatory. Keep things going the next day: examine the collection at The Getty Center, stroll the grounds of Pierce Brothers Westwood Village Memorial Park, and then buy something for everyone on your list at The Grove. To see other places to visit, traveler tips, ratings, and tourist information, read our Los Angeles trip tool . Use the Route module to find travel options from your starting location to Los Angeles. Expect a daytime high around 83°F in July, and nighttime lows around 66°F. Wrap up your sightseeing on the 18th (Thu) early enough to drive to Cambria. Cambria is a seaside village in San Luis Obispo County, California, United States midway between San Francisco and Los Angeles along California State Route 1 (Highway 1). 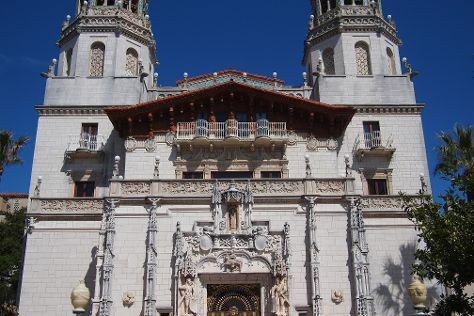 Your day-by-day itinerary now includes Hearst Castle. Start off your visit on the 19th (Fri): step into the grandiose world of Hearst Castle, then cruise along Moonstone Beach Dr, and then stroll through Moonstone Beach. For where to stay, other places to visit, more things to do, and more tourist information, use the Cambria trip itinerary builder . You can drive from Los Angeles to Cambria in 4.5 hours. Other options are to do a combination of flight and bus; or take a train. When traveling from Los Angeles in July, plan for somewhat warmer days in Cambria, with highs around 94°F, while nights are a bit cooler with lows around 56°F. 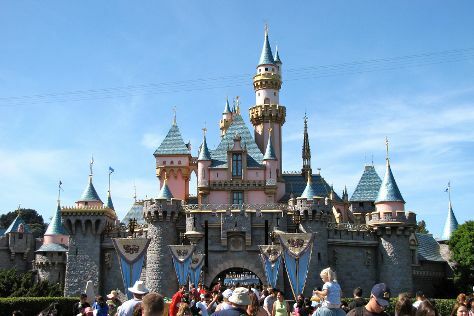 Wrap up your sightseeing on the 19th (Fri) to allow time to drive to San Jose. To find ratings, more things to do, traveler tips, and tourist information, use the San Jose online vacation maker . Traveling by car from Cambria to San Jose takes 3.5 hours. Alternatively, you can take a train; or do a combination of car and bus. When traveling from Cambria in July, plan for slightly colder days and about the same nights in San Jose: temperatures range from 81°F by day to 59°F at night. On the 20th (Sat), you'll have the morning to explore before heading off to San Francisco. Start off your visit on the 20th (Sat): step off the mainland to explore Alcatraz Island and then shop like a local with Union Square. Get ready for a full day of sightseeing on the 21st (Sun): look for gifts at City Lights Booksellers, then get curious at Exploratorium, and then shop like a local with Ferry Building Marketplace. To see where to stay, traveler tips, other places to visit, and more tourist information, use the San Francisco holiday planner . Traveling by car from San Jose to San Francisco takes an hour. Alternatively, you can take a bus; or do a combination of bus and subway. When traveling from San Jose in July, plan for little chillier days and about the same nights in San Francisco: temperatures range from 73°F by day to 57°F at night. Finish your sightseeing early on the 22nd (Mon) so you can drive to Yosemite National Park. Start off your visit on the 22nd (Mon): make a trip to Olmsted Point, explore the activities along Mirror Lake/Meadow Trail, then get great views at Valley View, and finally take in the dramatic scenery at Yosemite Falls. On the 23rd (Tue), you'll have a packed day of sightseeing: enjoy the sand and surf at Cathedral Beach Picnic Area and then trek along Lower Yosemite Fall Trail. Plan a trip to Yosemite National Park easily and quickly by telling Inspirock to suggest an itinerary. Getting from San Francisco to Yosemite National Park by car takes about 4 hours. Other options: do a combination of flight and car; or do a combination of flight and bus. Traveling from San Francisco in July, expect nights in Yosemite National Park to be little chillier, around 46°F, while days are somewhat warmer, around 83°F. Wrap up your sightseeing on the 23rd (Tue) early enough to travel to Williams. A tiny town with big tourist appeal, Williams lies on one of the first highways ever built in America, the iconic "Route 66." The town boasts many inns, motels, restaurants, and shops, although its most important feature is serving as the southern terminus of a scenic railway leading to the area's most famous tourist attraction, the World Heritage-listed Grand Canyon. You've now added Grand Canyon Railway to your itinerary. On the 24th (Wed), take a memorable tour with Grand Canyon Railway, then view the masterpieces at Jerome Artists Cooperative Gallery, and then take an in-depth tour of Jerome Historical Society Mine Museum. 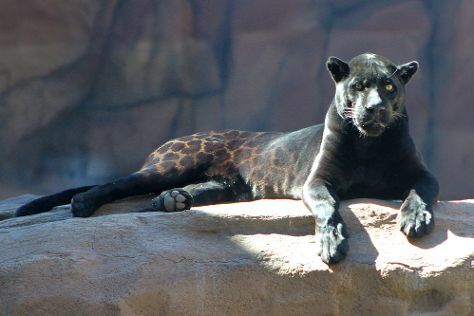 Get ready for a full day of sightseeing on the 25th (Thu): look for all kinds of wild species at Bearizona Wildlife Park. To see more things to do, reviews, ratings, and tourist information, use the Williams holiday tool . You can do a combination of car, flight, and taxi from Yosemite National Park to Williams in 7.5 hours. Traveling from Yosemite National Park to Williams, you'll lose 1 hour due to the time zone difference. Plan for somewhat warmer nights when traveling from Yosemite National Park in July since evenings lows in Williams dip to 56°F. On the 25th (Thu), wrap the sightseeing up by early afternoon so you can drive to Las Vegas. Kick off your visit on the 26th (Fri): take in the awesome beauty at Spring Mountains Visitor Center, engage your brain at Bodies The Exhibition, then examine the collection at Pinball Hall of Fame, and finally see the interesting displays at The Mob Museum. On your second day here, look for all kinds of wild species at Lake Mead National Recreation Area, then tour the pleasant surroundings at Willow Beach, and then examine the collection at Shelby American Inc.
To find maps, traveler tips, more things to do, and tourist information, use the Las Vegas travel route planner . You can drive from Williams to Las Vegas in 4 hours. Other options are to fly; or do a combination of bus, flight, and car. You'll gain 1 hour traveling from Williams to Las Vegas due to the time zone difference. Traveling from Williams in July, expect Las Vegas to be much warmer, temps between 104°F and 81°F. Wrap up your sightseeing by early afternoon on the 28th (Sun) to allow time for travel to San Juan Capistrano. San Juan Capistrano is a city in Orange County, California, United States. Visiting Dolphin & Whale Watching and ZOOMARS Petting Zoo will get you outdoors. Your inner history buff will appreciate Montanez Adobe and Saddleback Church. There's lots more to do: take in breathtaking views at Aliso & Wood Canyons Wilderness Park, grab your bike and head to Whiting Ranch Wilderness Park, explore the activities along Mission Viejo Lake, and browse the different shops at The Shops At Mission Viejo. For reviews, maps, traveler tips, and more tourist information, refer to the San Juan Capistrano trip builder site . Use the Route module to find suitable travel options from Las Vegas to San Juan Capistrano. When traveling from Las Vegas in July, plan for cooler days and slightly colder nights in San Juan Capistrano: temperatures range from 80°F by day to 67°F at night. On the 31st (Wed), you're off toLong Beach. Long Beach has long been overshadowed by its bigger and more famous neighbor known as the City of Angels. For where to stay, more things to do, traveler tips, and more tourist information, refer to the Long Beach holiday builder site . Traveling by car from San Juan Capistrano to Long Beach takes an hour. In July in Long Beach, expect temperatures between 83°F during the day and 67°F at night. Wrap up your sightseeing on the 2nd (Fri) early enough to drive back home.